Trawler’s range of power catamarans represents the pinnacle of boating excellence, combining outstanding offshore performance, cutting-edge technology and exceptional fuel consumption rates. 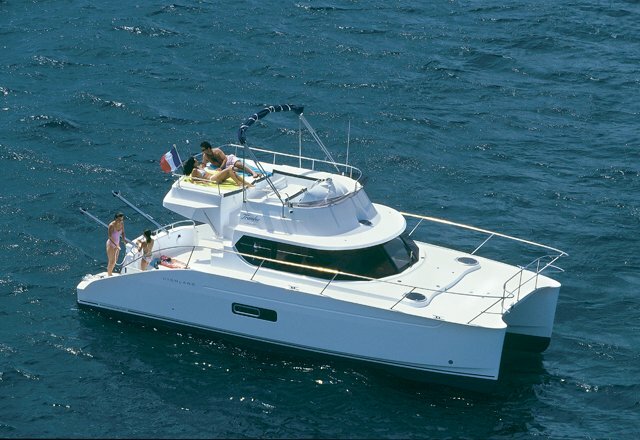 Trawler Catamarans offer generous freeboard with reinforced hulls and bows to handle the toughest offshore conditions. 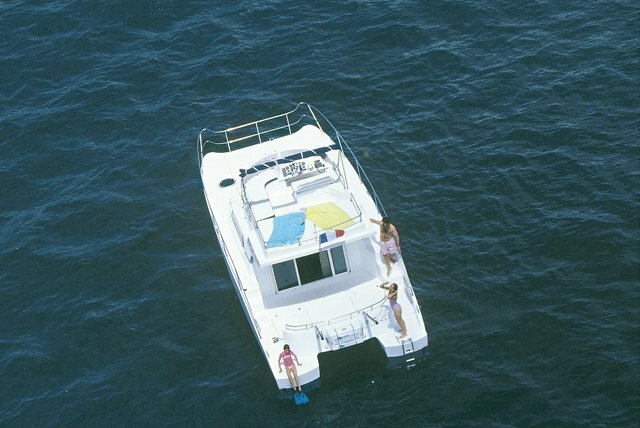 The hull design offers an impressively dry deck at sea and a stable ride with minimal bounce and roll in dangerous and uncomfortable conditions. 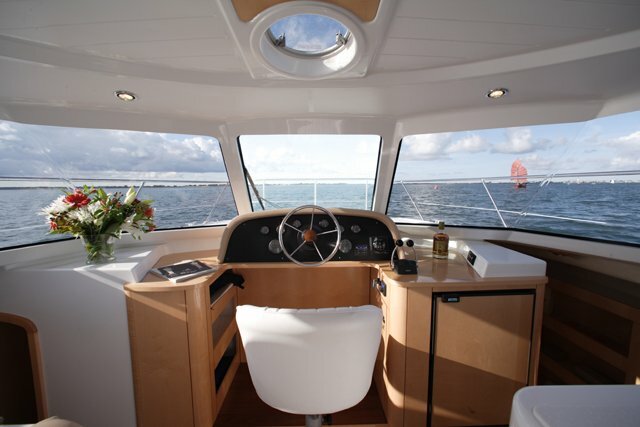 Highland 35 Pilot has been designed to separate the social and private areas for optimal space and serenity. 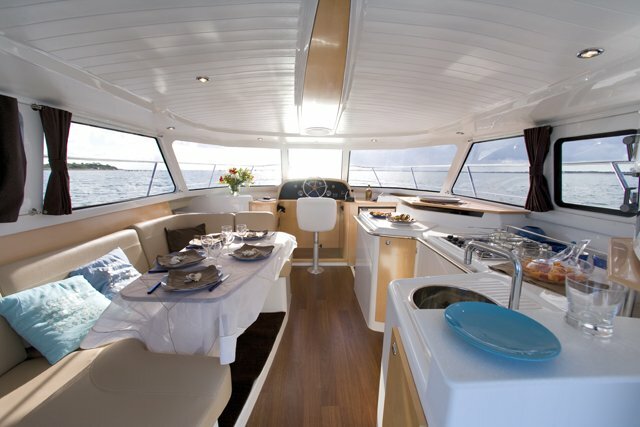 Socialising and entertaining can be enjoyed in the spacious saloon and galley, which feature panoramic views, quality furnishings, abundant storage and easy integration of lounge and cockpit areas. 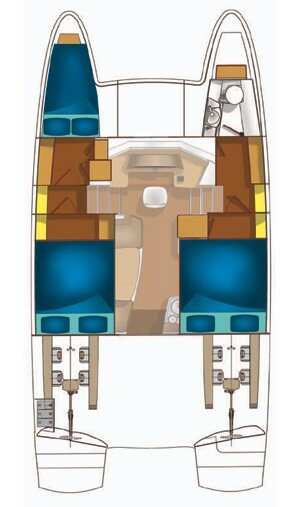 The main decks are designed on one level so no steps up or down are required for entry from the cockpit to the main saloon. 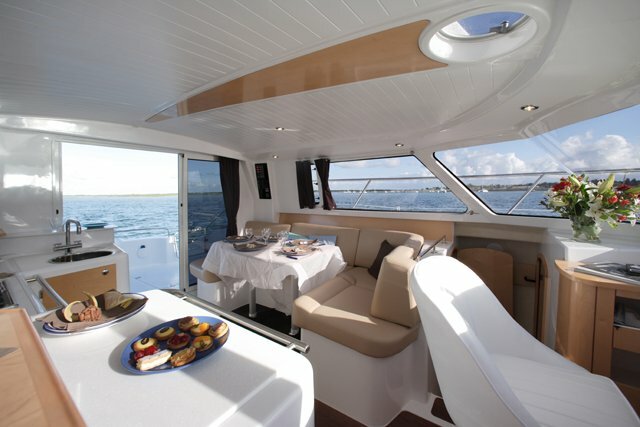 Cabins for the owner and crew are very private due to the twin hulls, with no single bulkheads required between the cabins. Fore and aft cabin arrangements can offer true three or four double cabin versions without compromising space and storage. 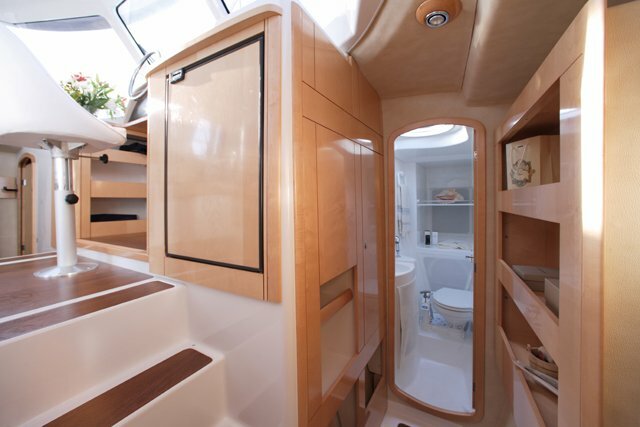 On every model, the cabins enjoy generous dimensions, great headroom, wide passageways, and are situated well away from the engine rooms, ensuring they are quiet and fume-free retreats. 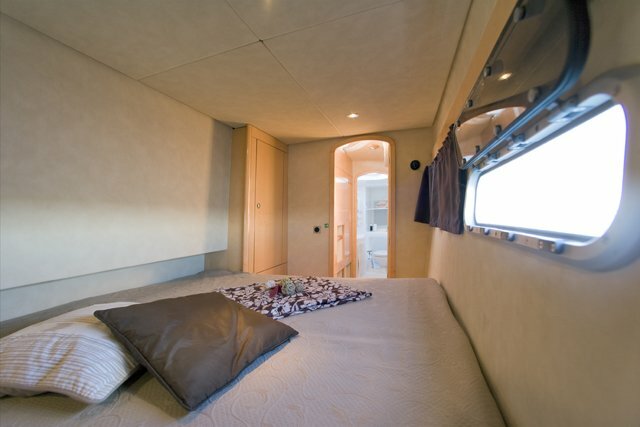 The cabins feature excellent ventilation systems and natural lighting, courtesy of the generous portholes. There is also spacious access to the large beds with the benefits of ensuite bathrooms. 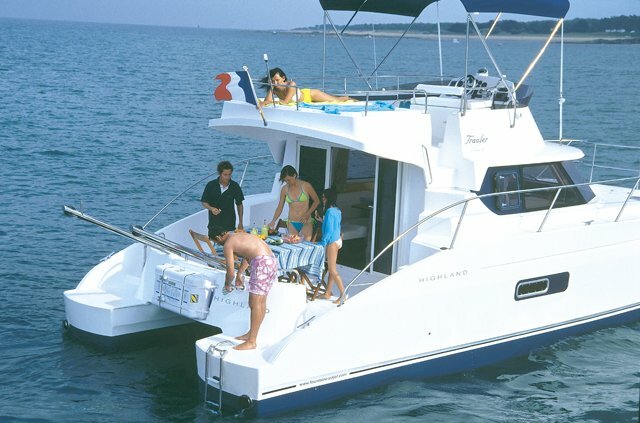 An ideal catamaran for your vacations in Greece!